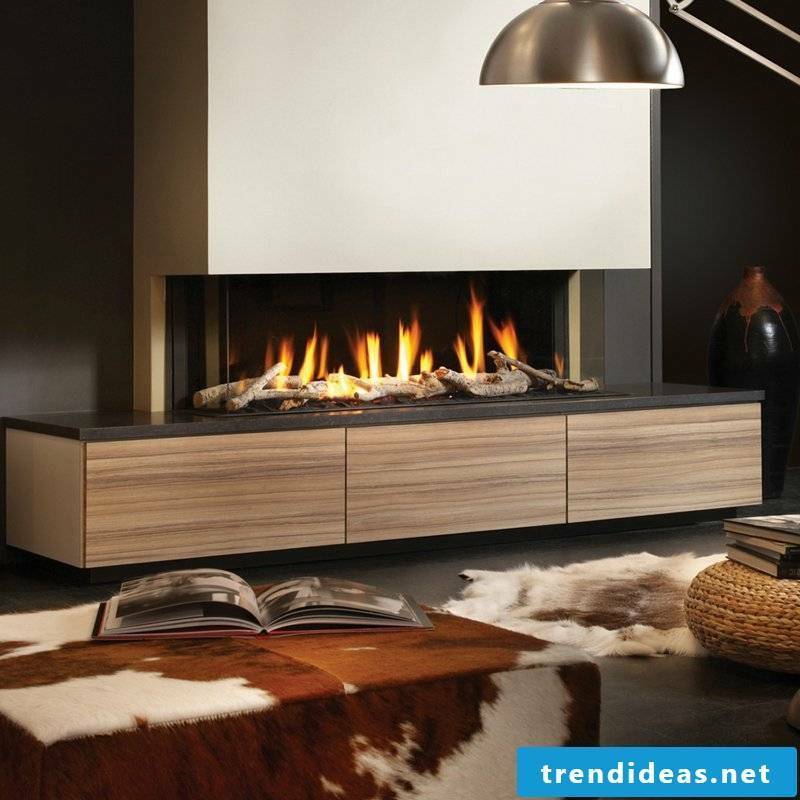 The gas fires look pretty much like the electrical ones and can very successfully mimic a wood burning fireplace. 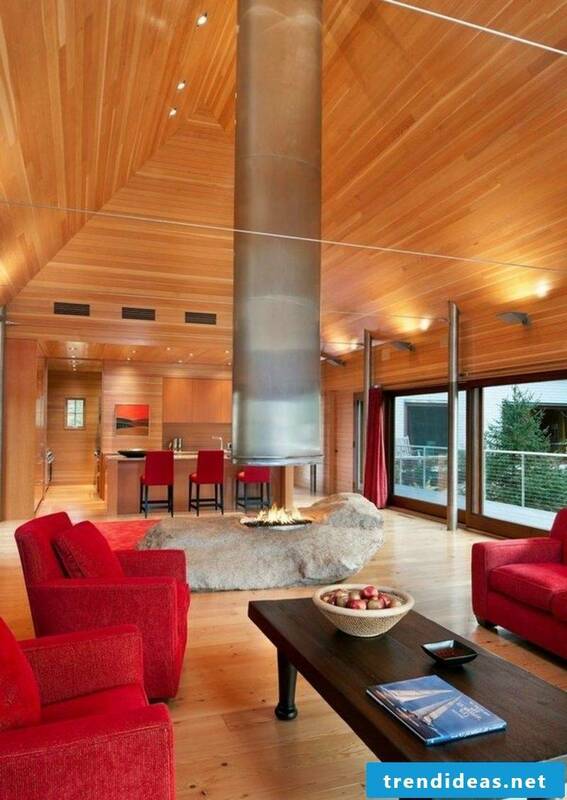 When sitting in front of the fireplace it is hard to guess if it works with gas or electricity. 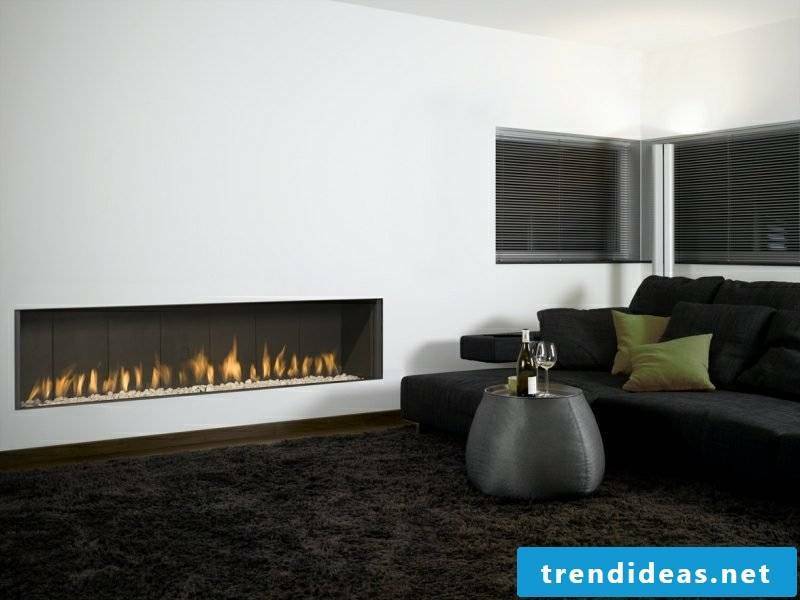 The difference between these two types is the gas system installed to allow burning. 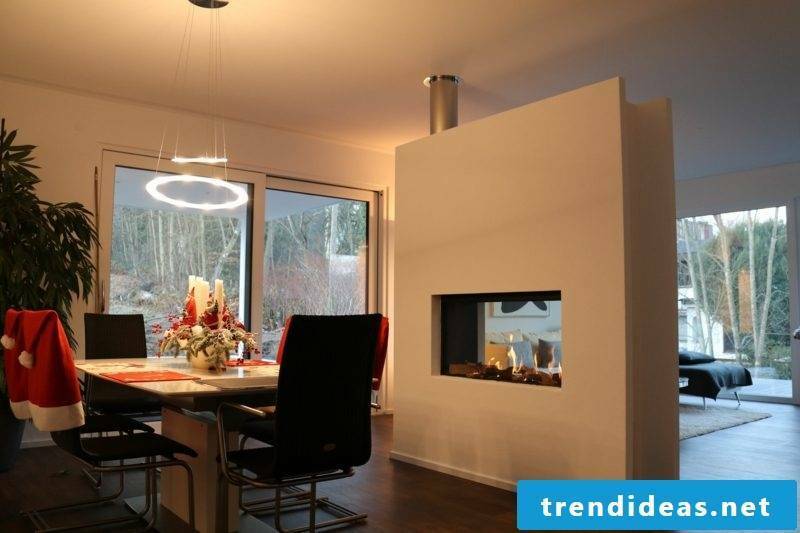 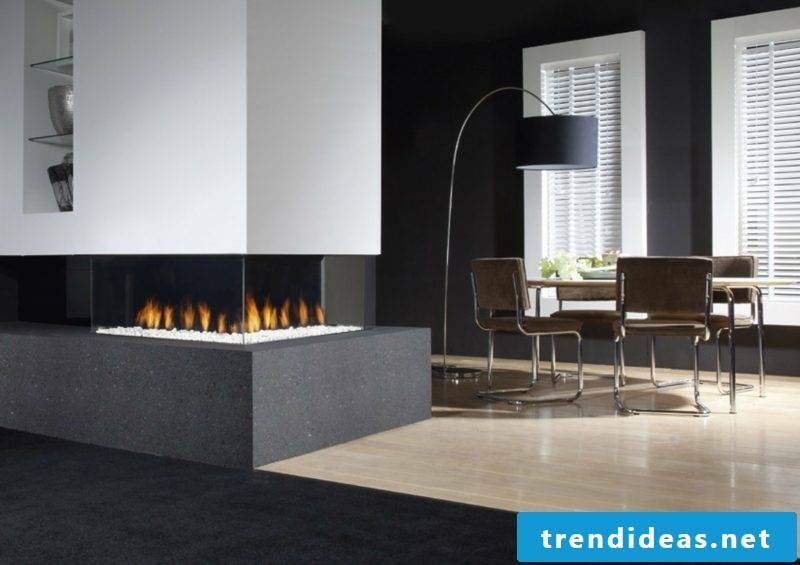 The gas burner is clad in a cast-iron body with fire-resistant glass and the fireplace creates an illusion of burning logs or charcoal made of heat-resistant ceramic. 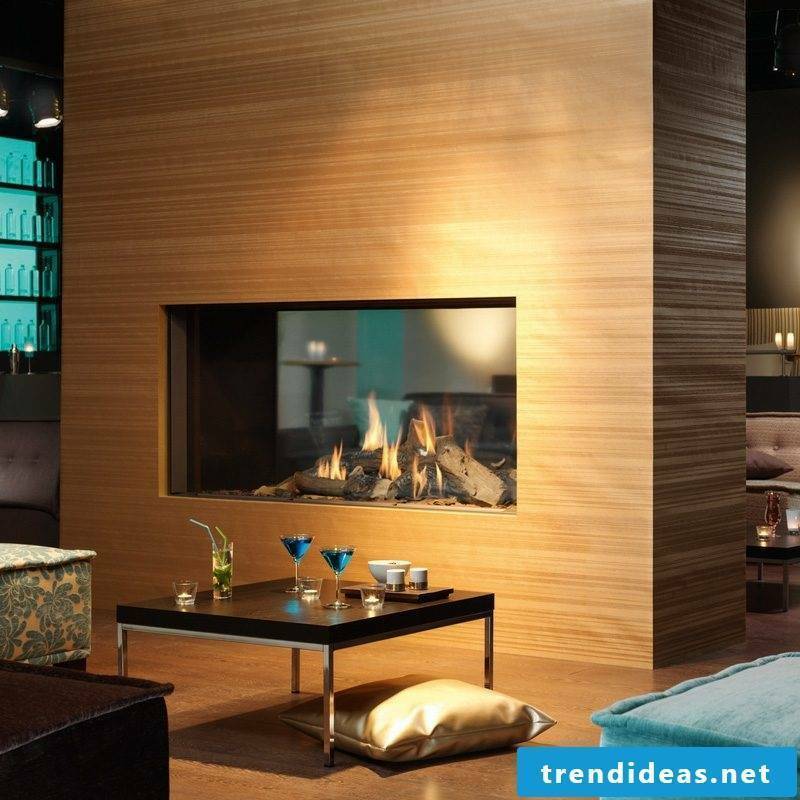 It is human nature to long for warmth and peaceful relaxation beside the fire. 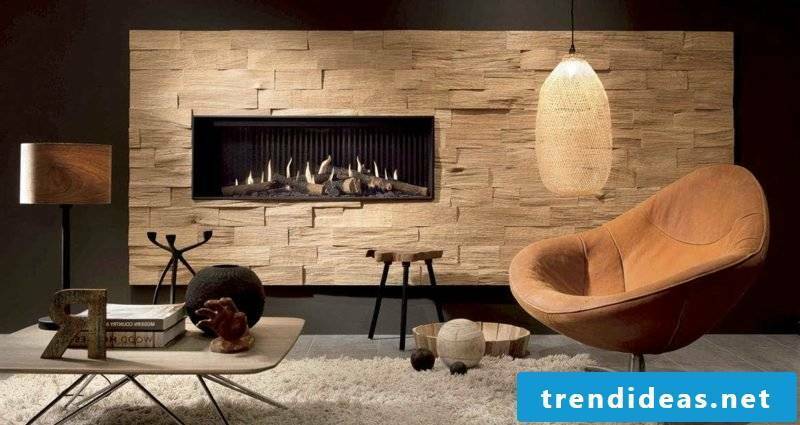 The mystical energy of fire is captured in gorgeous gas fireplace designs that not only fulfill this dream for many people, but also bring a stylish decorative element into the home. 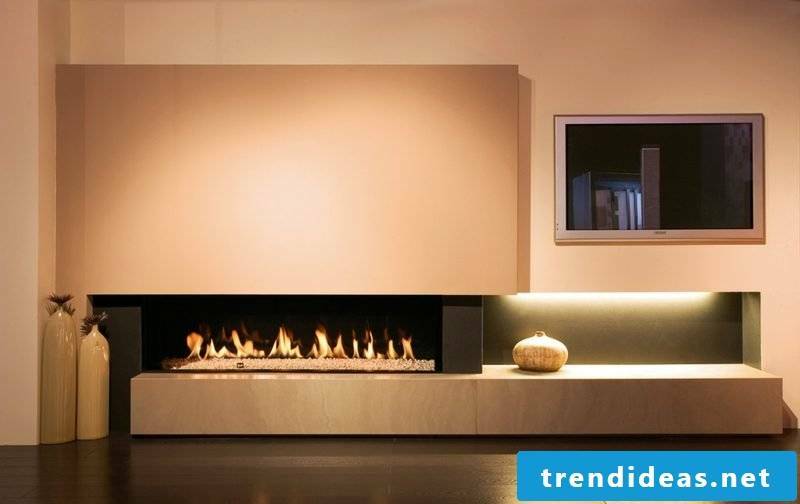 Modern gas fireplaces are equipped with a temperature control system of combustion, safety sensors for gas pressure, gas leakage and so on. 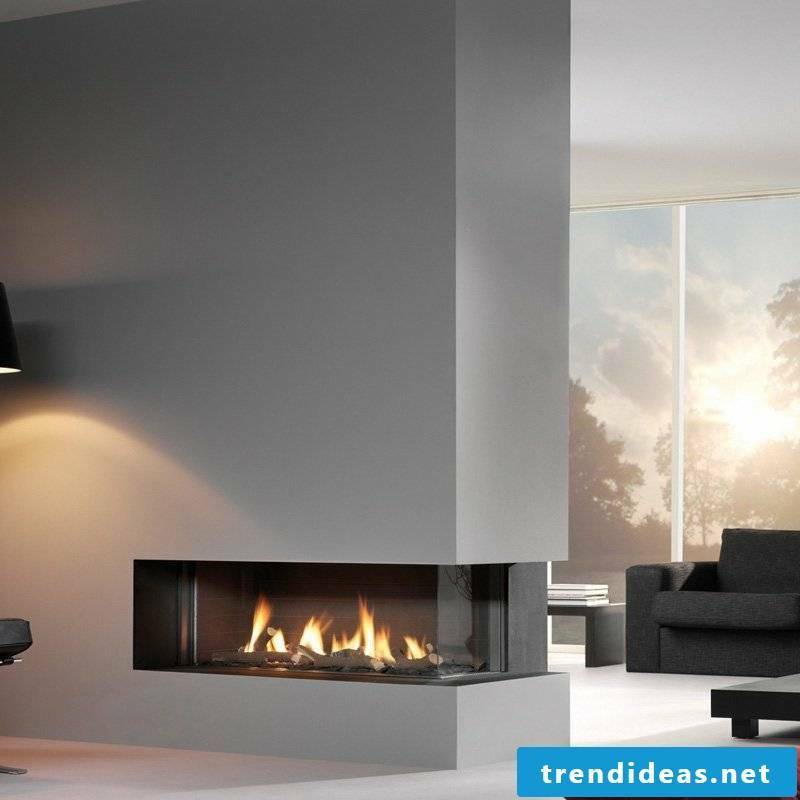 Some designs feature a chimney stack while others offer ventless gas fireplace designs. 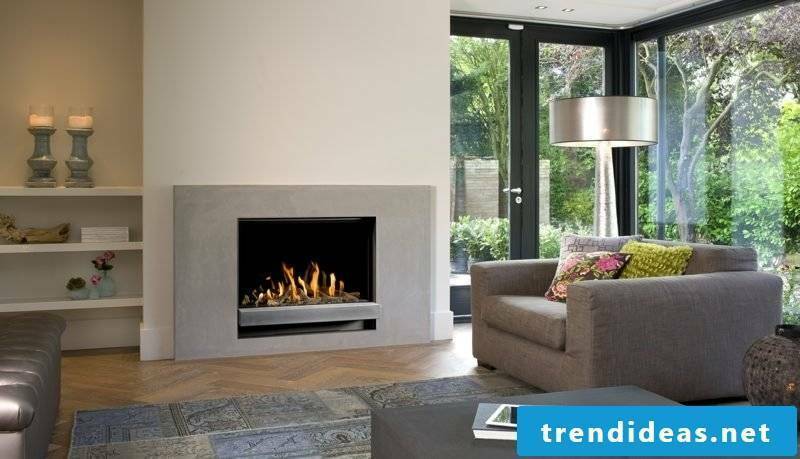 The latter are gaining in popularity as the ventless gas fireplaces offer greater flexibility and are relatively easy to install in any room. 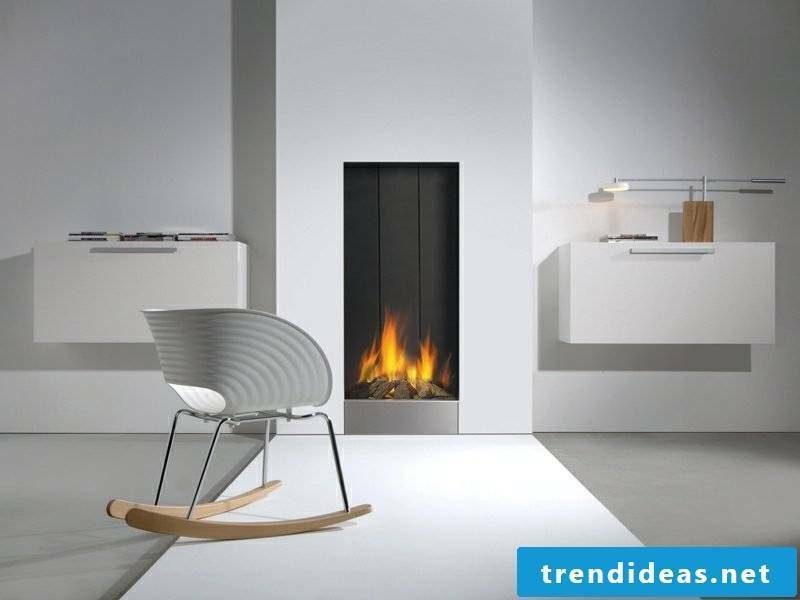 Ventless chimneys that work with gas are based on indoor air for combustion, and they exhaust a very low level of combustion gases into the room. 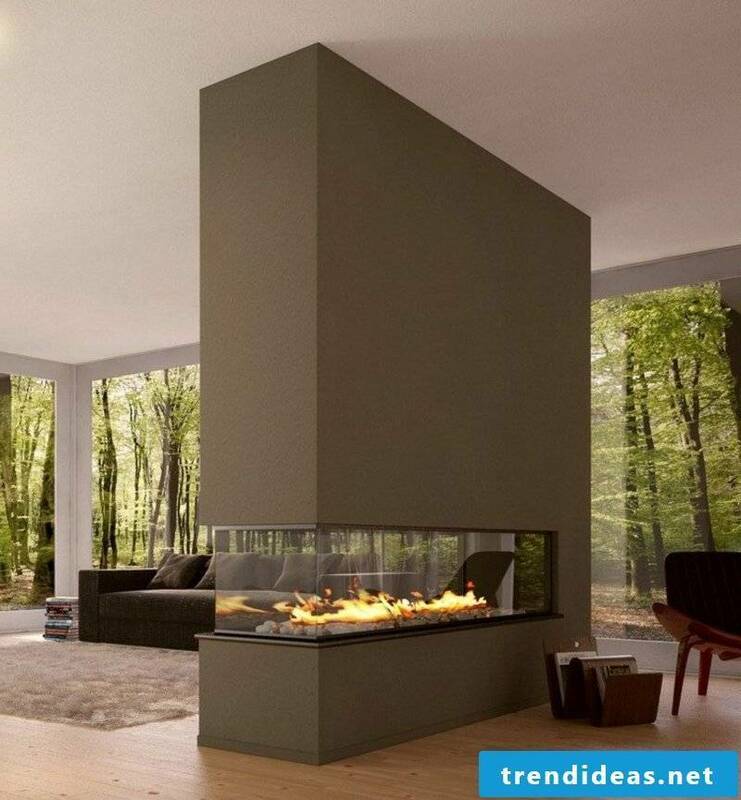 Free-standing fireplaces are, as a rule, ventless. 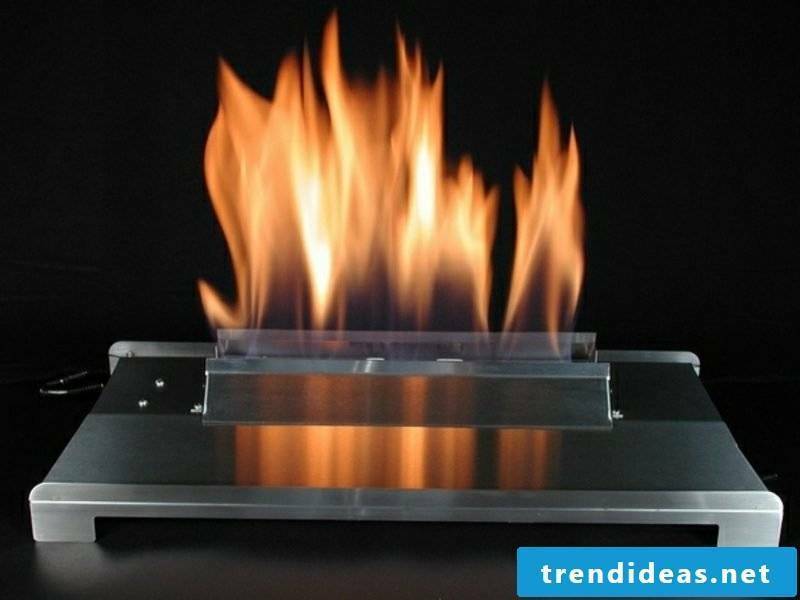 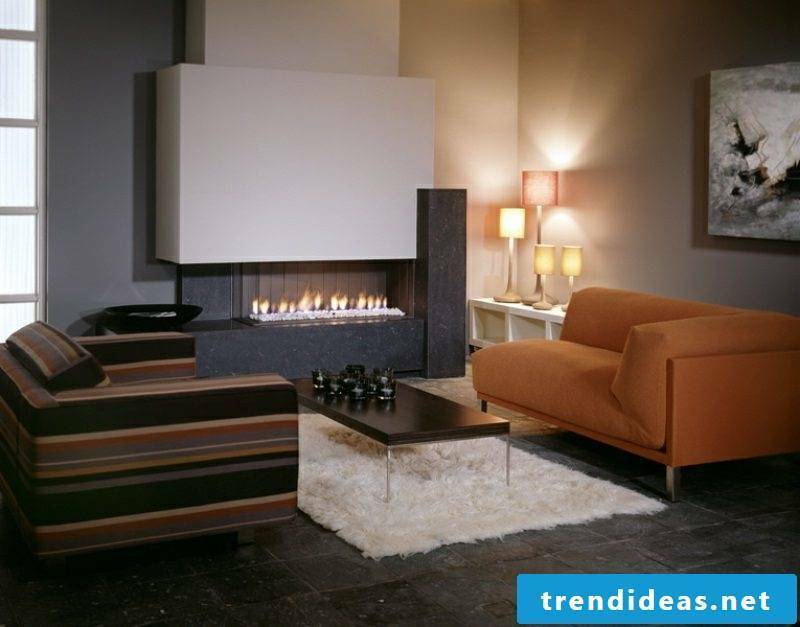 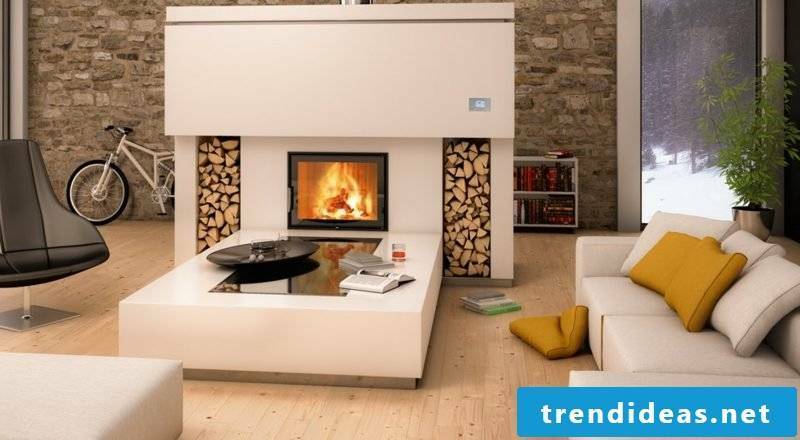 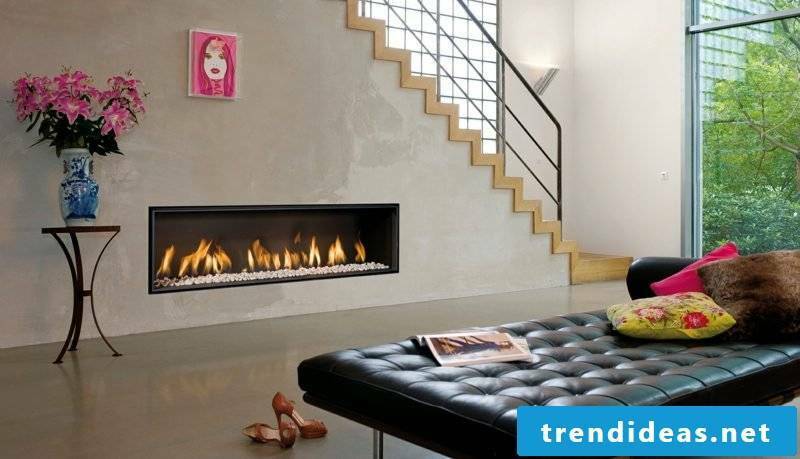 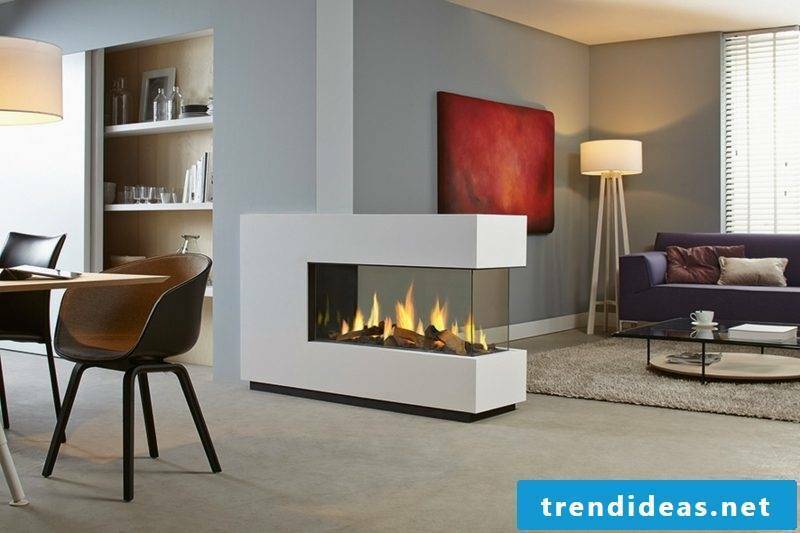 Modern gas fireplace designs offer a high level of safety because the regulations are very strict. 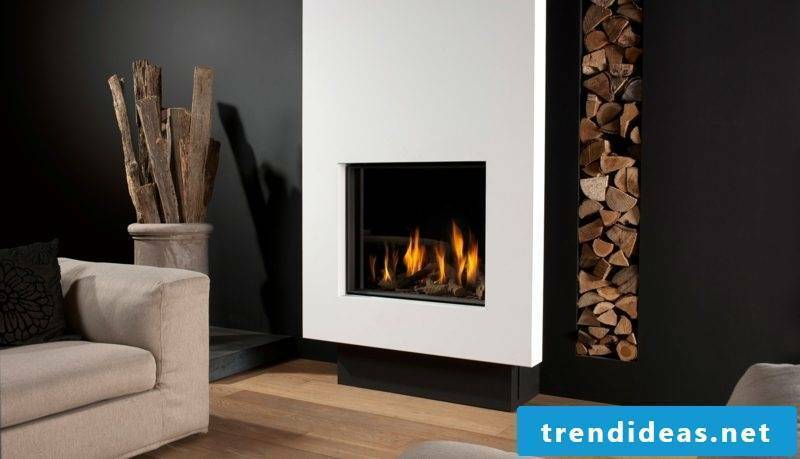 The fuel is relatively cheap and if you are connected to a central gas supply, you need no storage space for wood or coal. 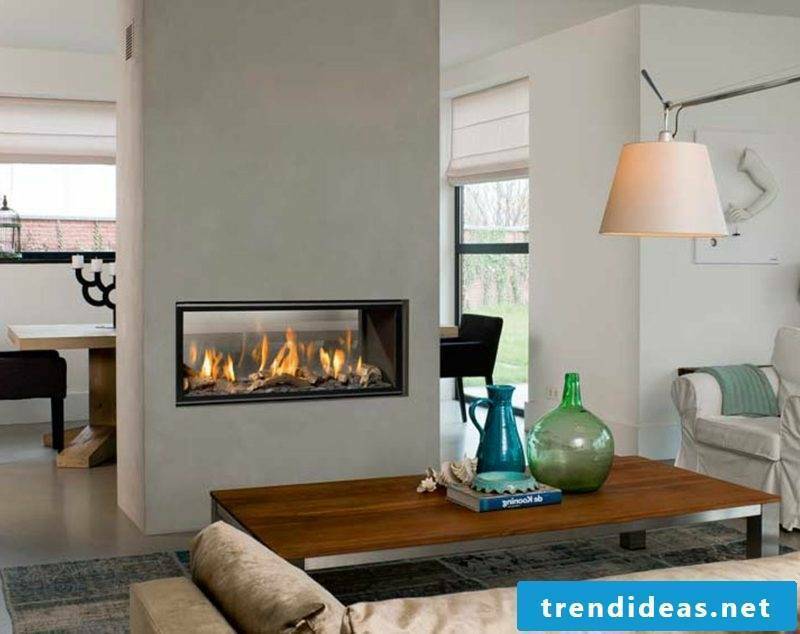 The maintenance is virtually zero, since you do not need to clean any ashes and coal, if at all, then you just have to clean the chimney. 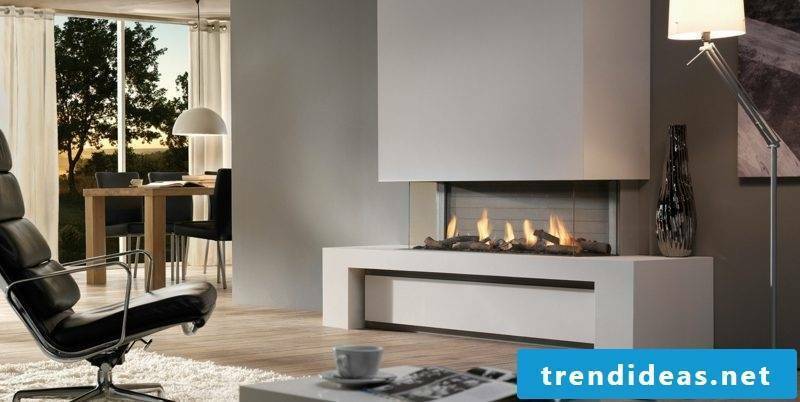 A gas fireplace has a high degree of safety because all processes are controlled automatically and, moreover, there are no open flames or sparks which, as a rule, could lead to a fire. 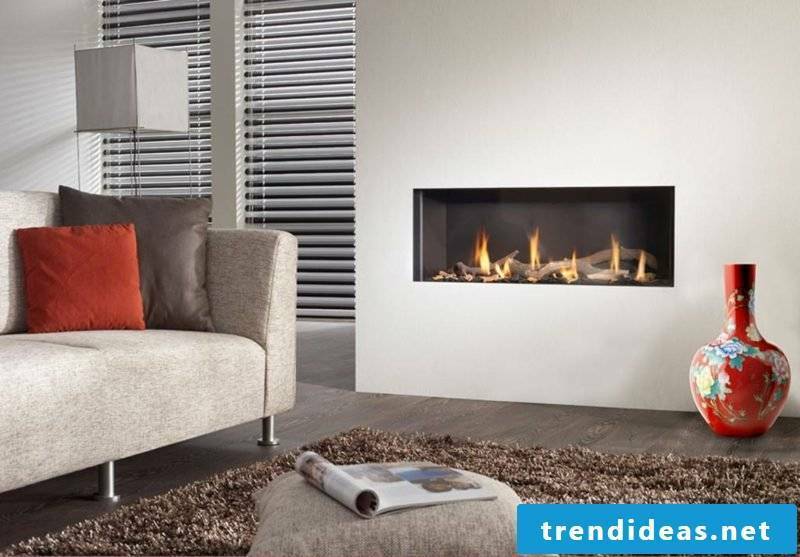 Gas fires are cost-effective in terms of fuel consumption. 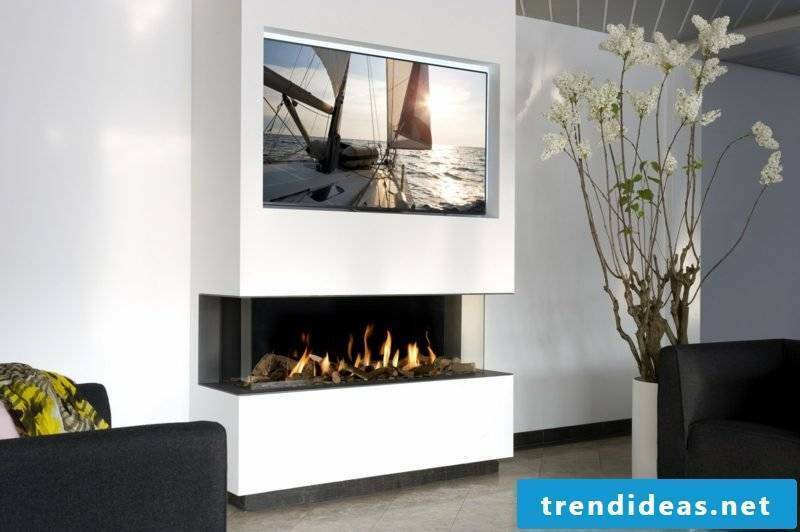 Last but not least, they are pretty easy to install and operate. 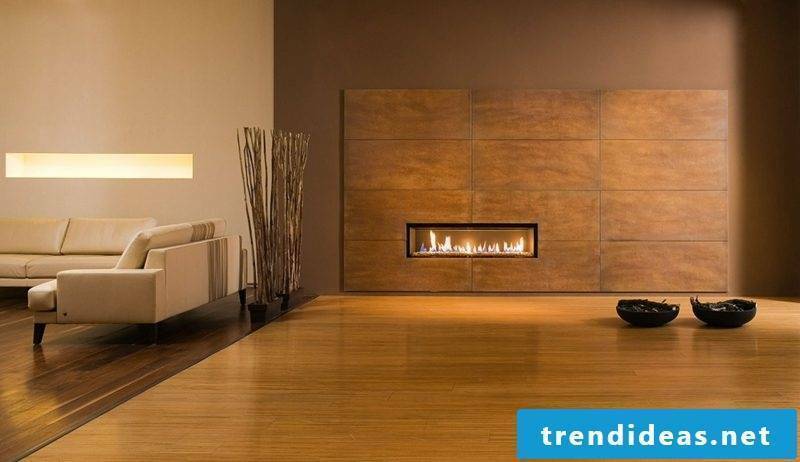 When choosing an indoor fireplace for your home, it is important that it provides the necessary thermal output and flame display to match the size and style of your room. 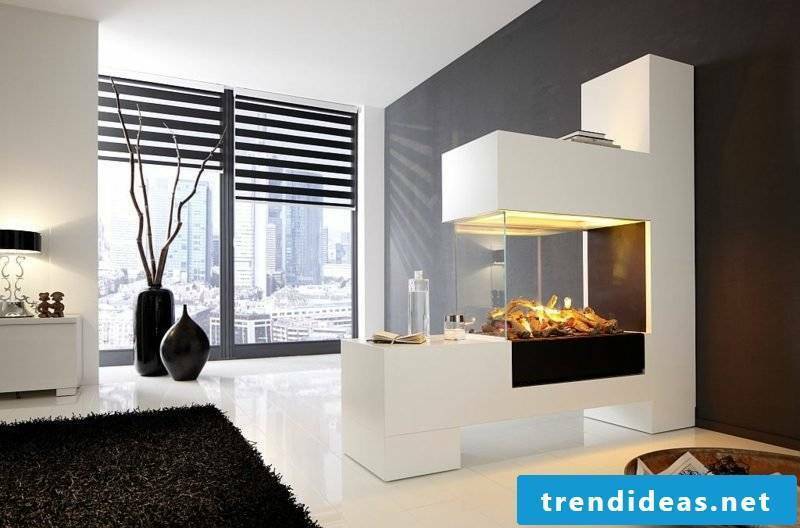 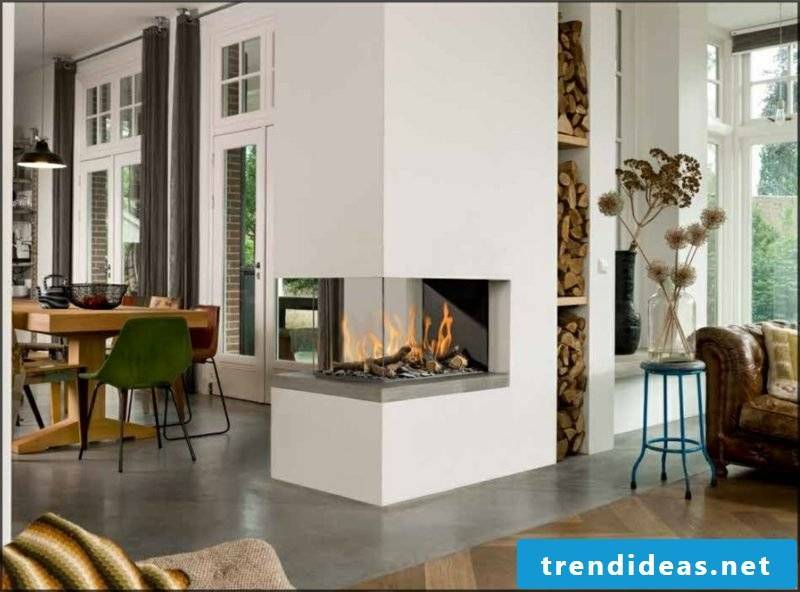 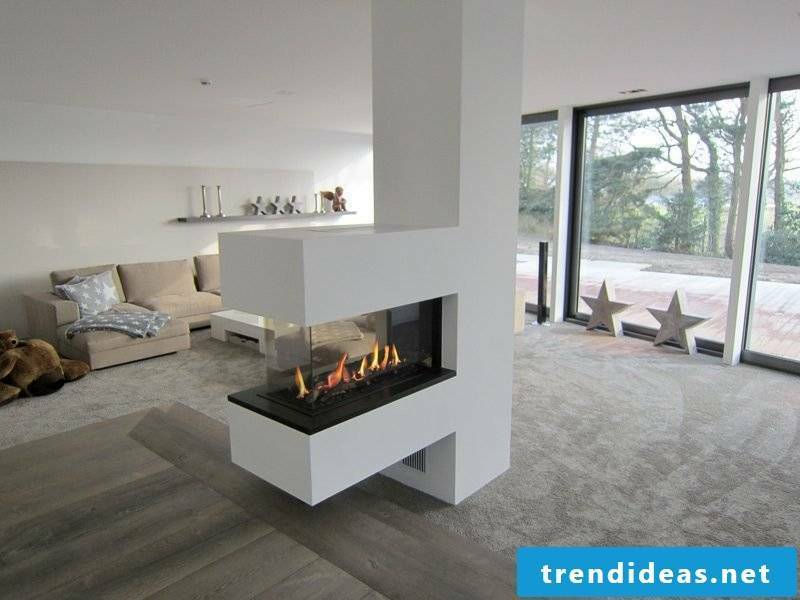 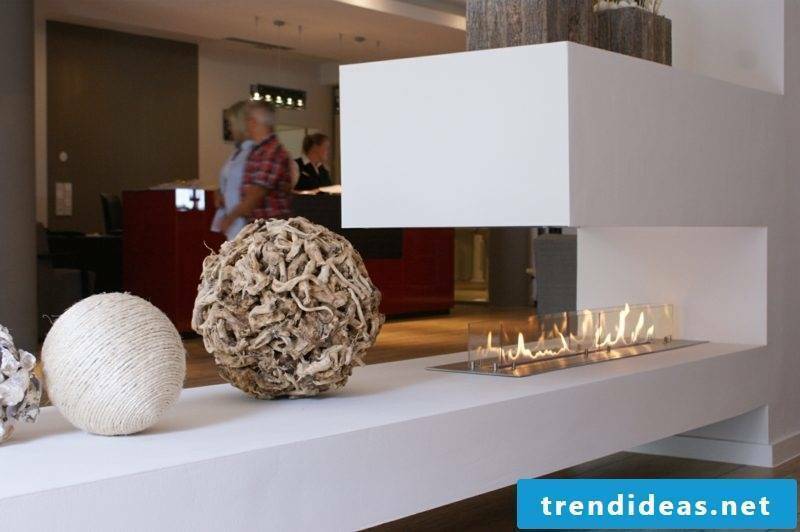 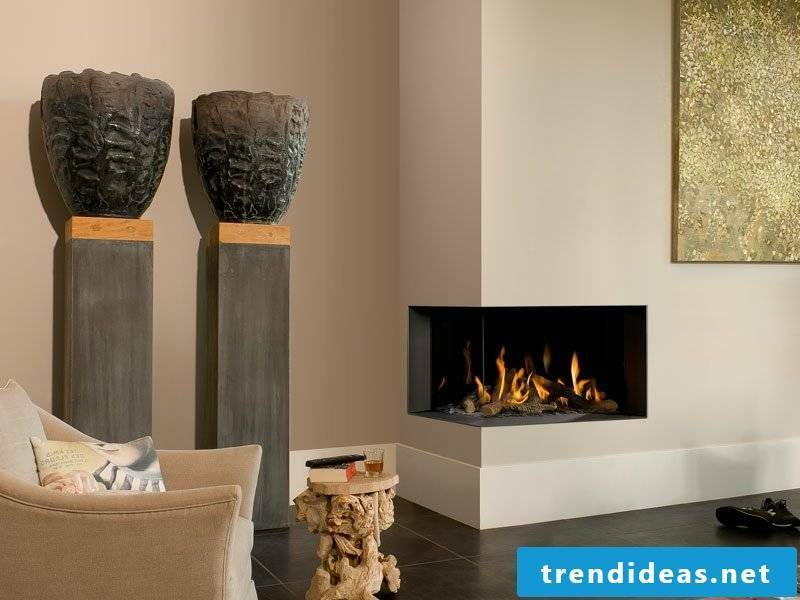 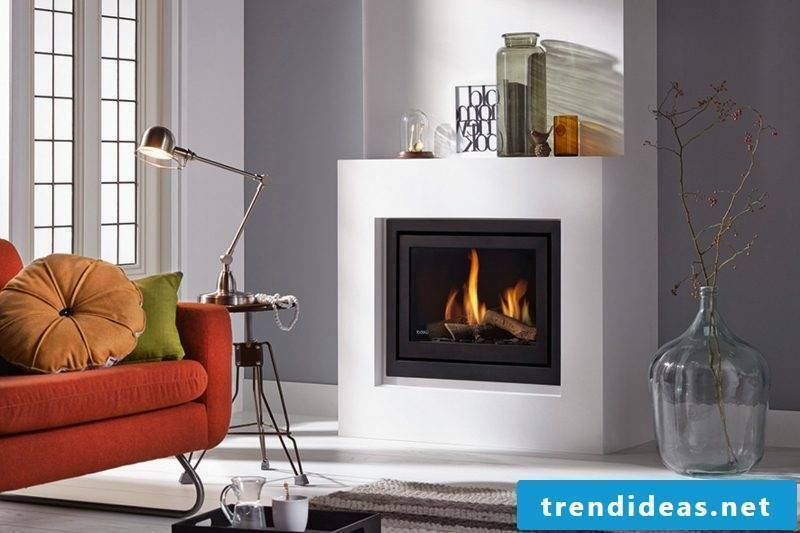 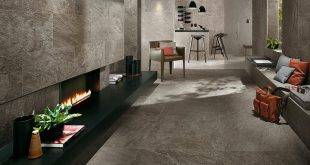 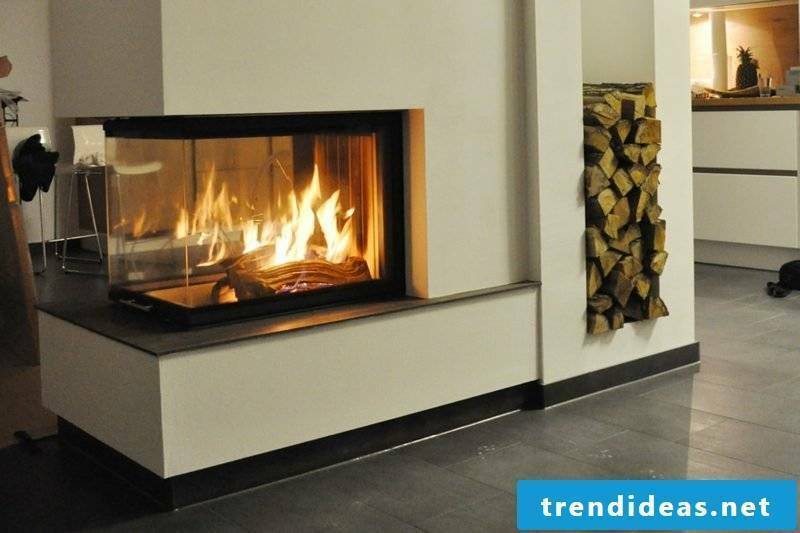 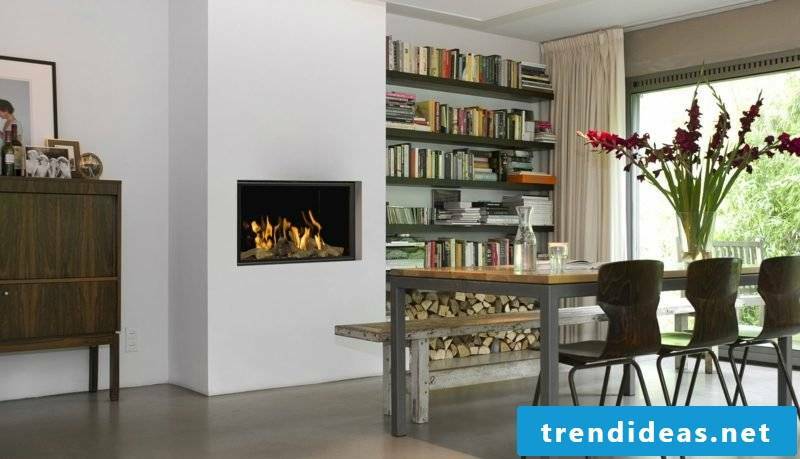 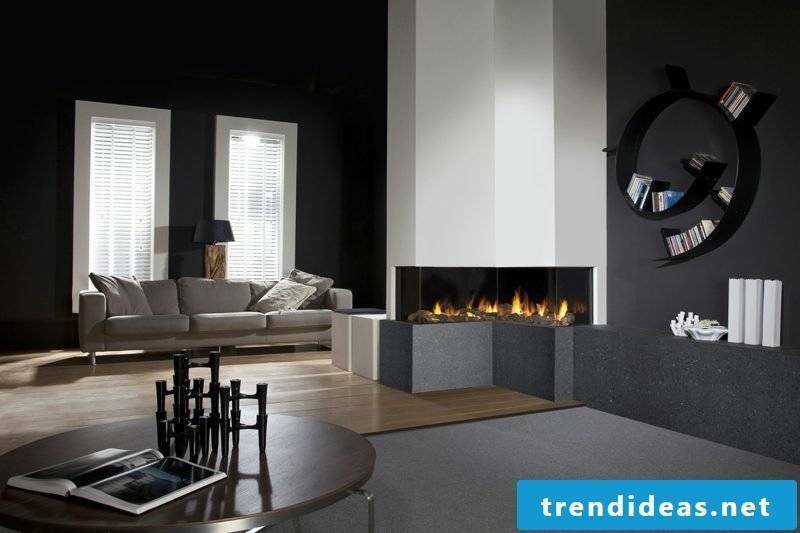 Since a fireplace will always be the focus of attention, it should be beautiful, efficient and easy to use. 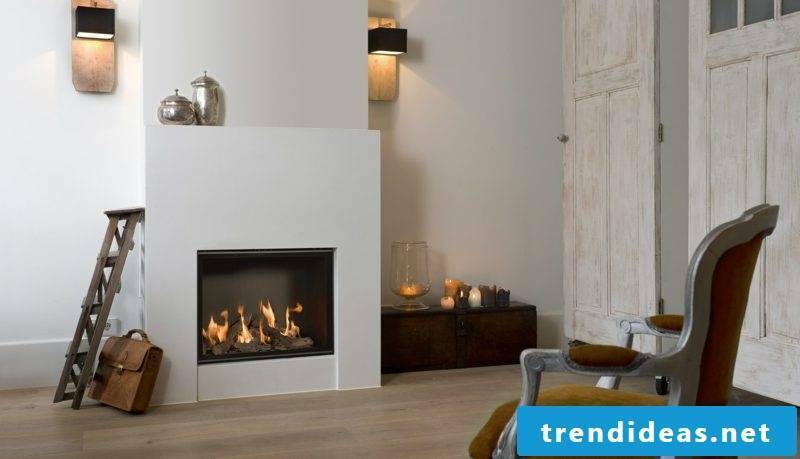 Escea gas fireplaces combine innovative contemporary design with the highest quality and offer a wide selection of models. 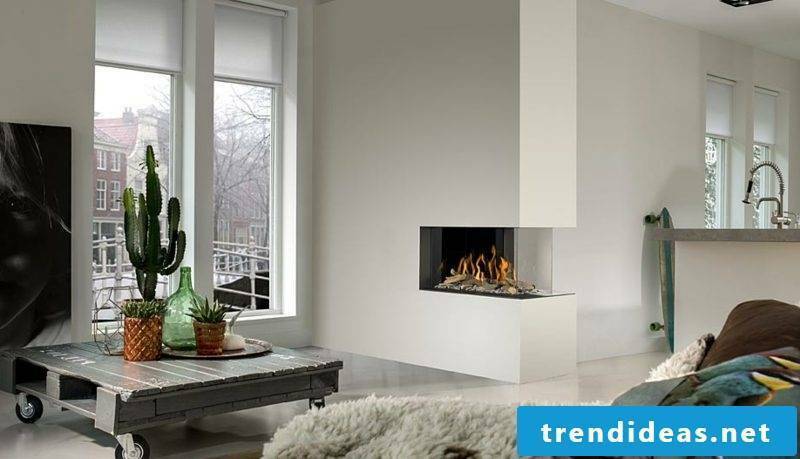 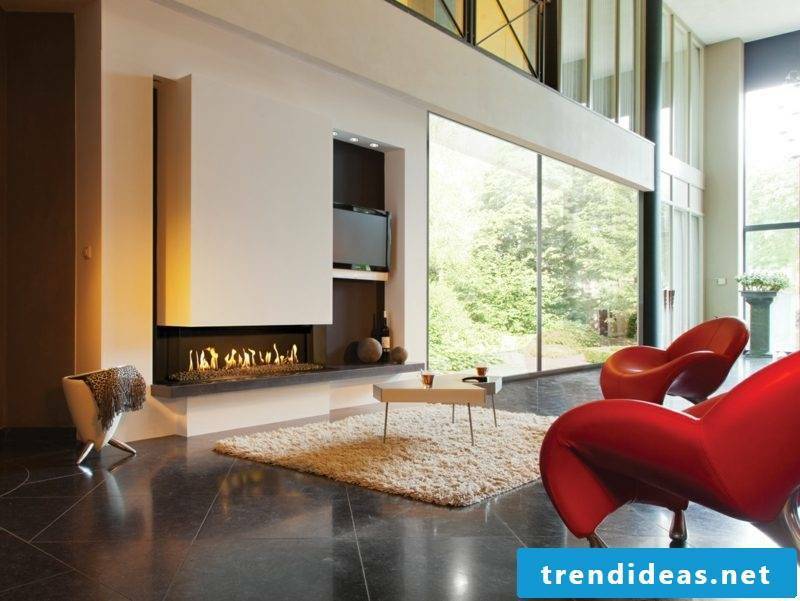 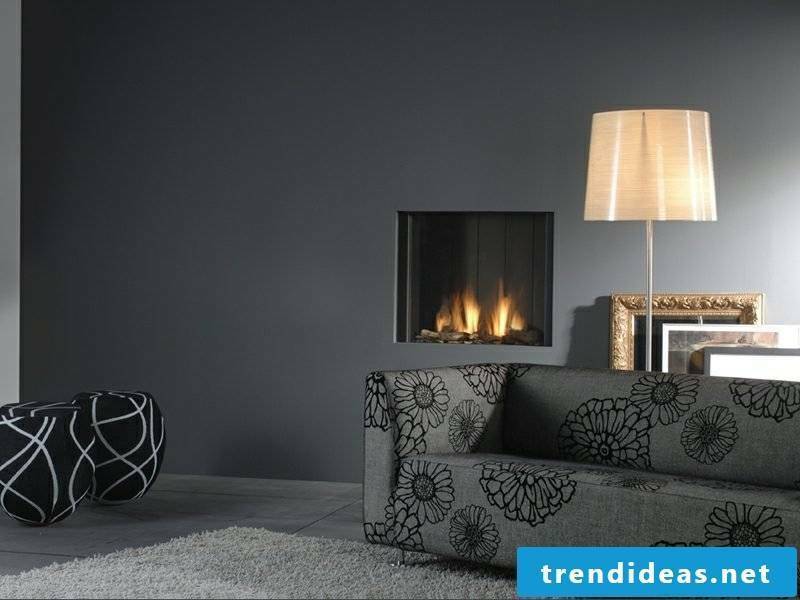 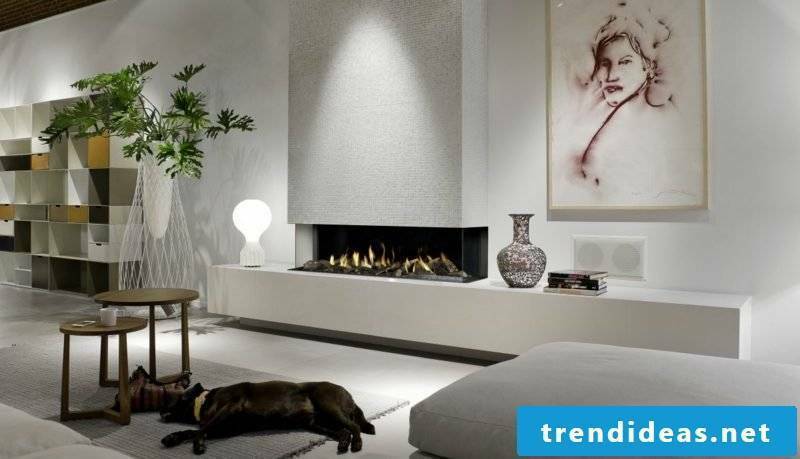 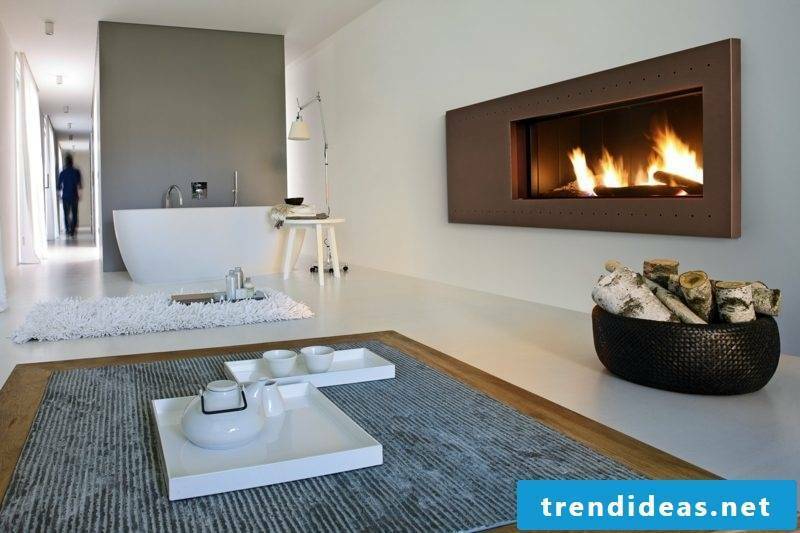 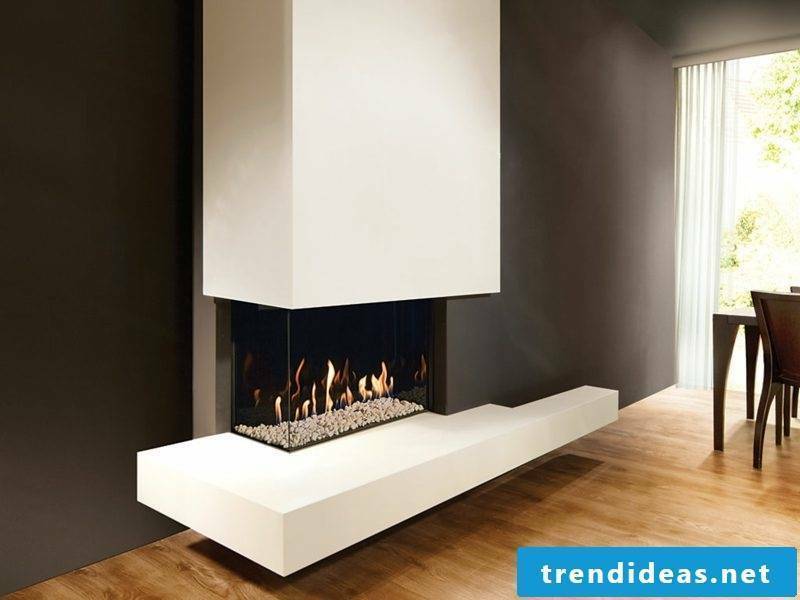 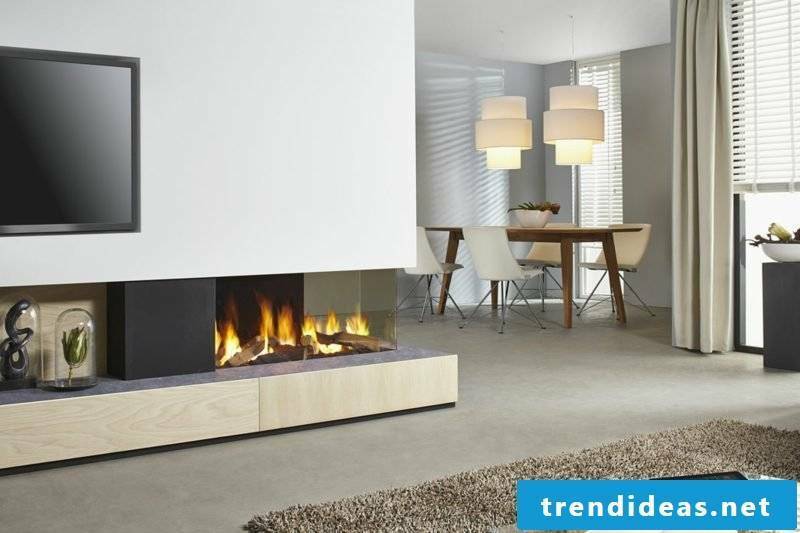 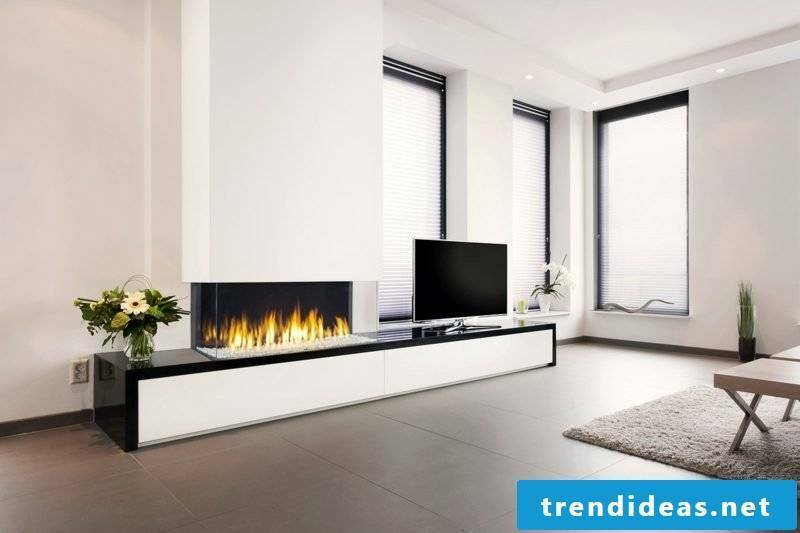 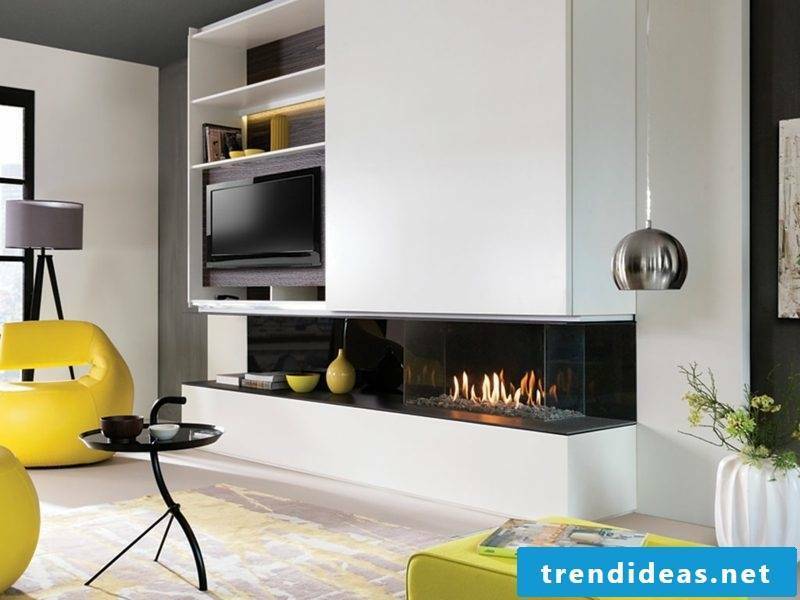 Escea gas fireplaces are synonymous with minimalist modern sophisticated style and design. 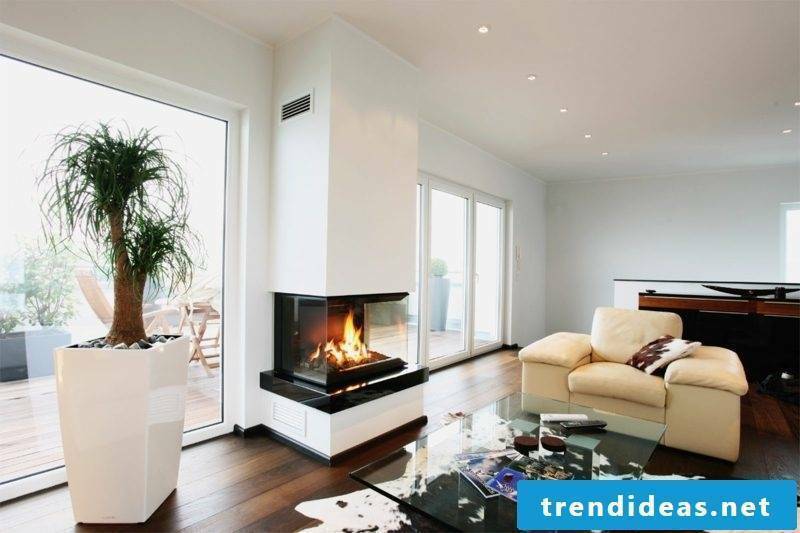 Indoor-outdoor-flow is very important for many people who want to make the most of their urban gardens. 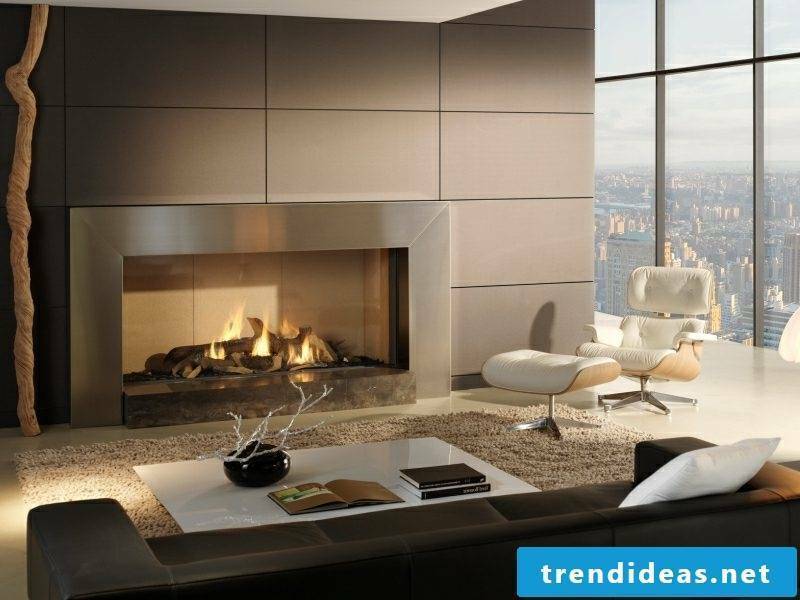 Many city dwellers would like to relax in their outdoor space on colder days and not just use the swimming pool in the summer. 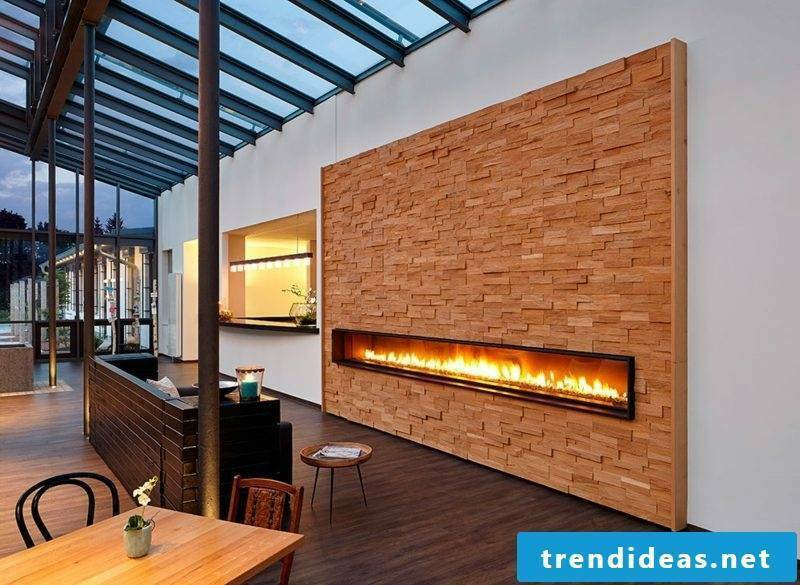 A covered patio and an outdoor fireplace can be a good place to start to make this option possible. 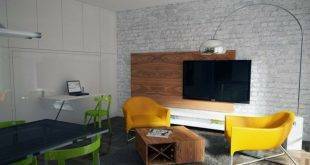 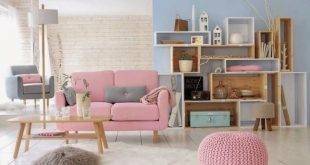 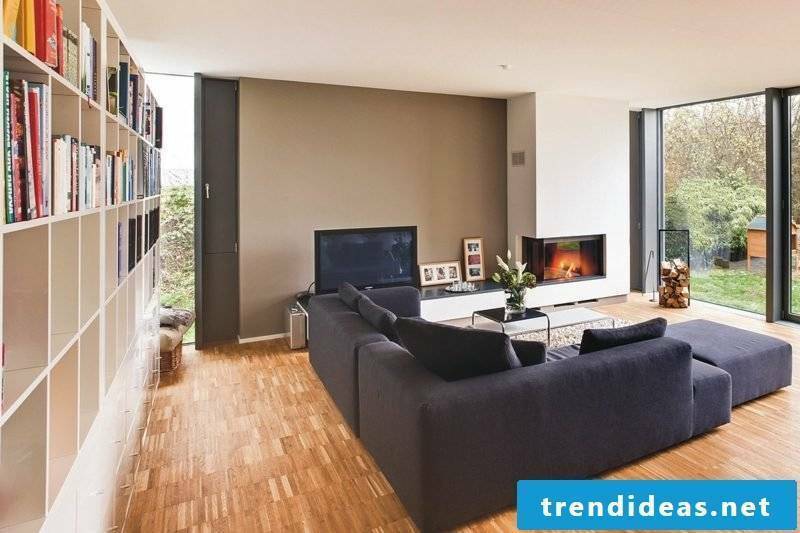 Small living room set up – 70 fresh ideas!